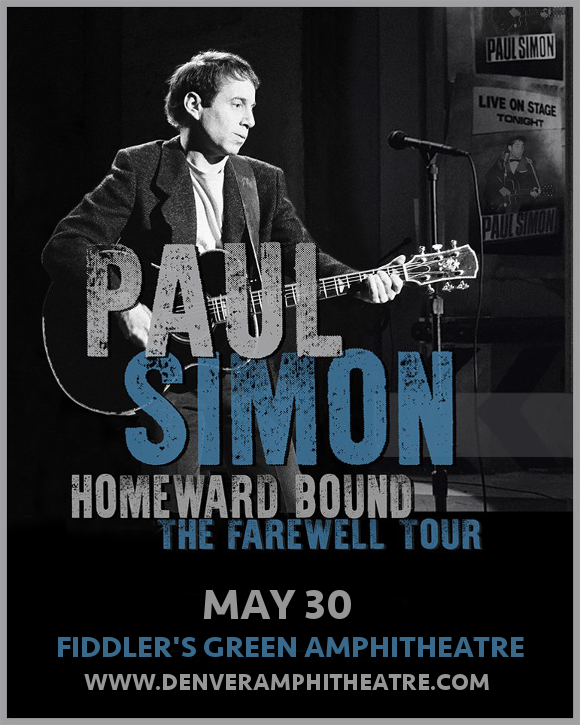 It’s time for the farewell tour to end all farewell tours – that’s right, Paul Simon is completing his final cross-country trek with the Homeward Bound Tour, gracing the Oracle Arena stage on Friday 25th May 2018! Don’t miss your very last opportunity to experience Paul Simon’s songwriting magic live – get your tickets quick, while you still have the chance! The principal songwriter for the phenomenally successful and widely influential duo Simon and Garfunkel, Paul Simon embarked upon a solo career in 1970, writing three albums in the next five years; "Paul Simon," "There Goes Rhymin' Simon" and "Still Crazy After All These Years". Another few albums later and Paul Simon released “Graceland.” The album marked the songwriter’s full return to form after suffering with depression, achieving the Grammy Award for Album Of The Year and winning the respect of critics around the world. Today, Paul Simon is considered by many to be one of the most important songwriters to have influenced the shape of popular music. Don’t miss your final chance to catch him live!